Spartan admiral best known for leading Sparta to victory over Athens in the last years of the Peloponnesian War. Little is known of Lysander’s life before his appointment as admiral in 407 b.c. Because of his family’s poverty, he suffered a second-class status. In addition to his talent for command, his homosexual bond with the young royal prince Agesilaus helps explain his rise to prominence despite his inferior social status. 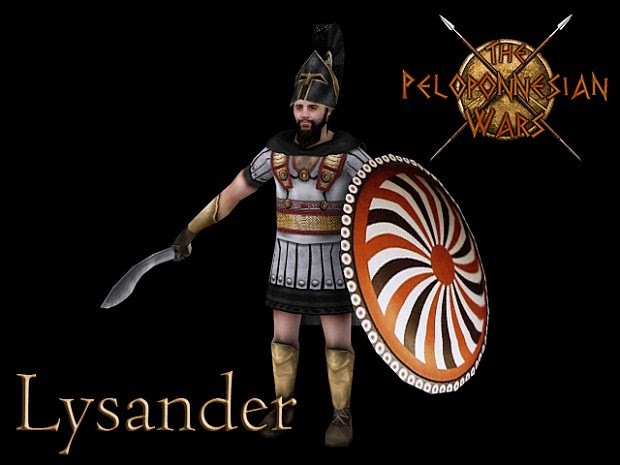 Appointed admiral following serious Spartan naval losses, Lysander established himself at the Ionian city of Ephesus, won the confidence and financial support of the Persian prince Cyrus, and raised a new fleet of triremes. With that force he defeated the Athenians at Notium in 406 b.c. before his nonrenewable one-year term as admiral expired. After his successor lost his life and half the Spartan fleet in a catastrophic naval defeat off the Arginusae Islands, in 405 b.c. Lysander resumed leadership of the Spartan naval effort as the nominal subordinate of another admiral. With additional Persian subsidies, he rebuilt the Spartan fleet and proceeded to the Hellespont to menace the shipments of grain from the Black Sea region upon which Athens depended and thus to force a confrontation with the Athenian fleet. Several times the Athenians refused to give battle, and with a surprise attack at Aegospotami, Lysander caught the Athenians off guard and captured practically all of their ships and crews. Only 9 of 180 Athenian triremes managed to escape; more than 3,000 captured Athenians were executed. This brilliant victory effectively ended the long Peloponnesian War, because it allowed Lysander to blockade the city of Athens and starve the Athenians into surrender in 404 b.c. Following these successes Lysander’s aggressiveness toward other Greek states cost him influence at Sparta, as did his cultivation of a personal following and acceptance of improper honors, such as a statue at Delphi and worship of himself as a god at Samos. Frustration apparently led him to plot the abolition of the hereditary monarchy at Sparta, but he abandoned this plan after arranging for prince Agesilaus to become king. Lysander died in 395 b.c. while leading an ill-advised infantry attack on the Greek city-state of Haliartus.